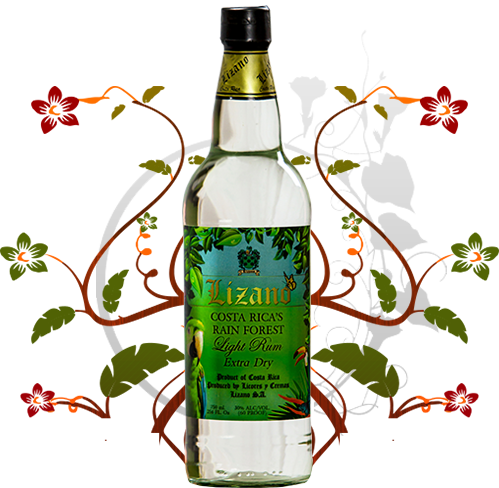 LIGHT RUM | Licores y Cremas Lizano S.A. It is a 60 proof rum. The sugar cane juice has been, very carefully fermented, with selected yeasts and then set in small white oak barrels to develop slowly a full bouquet and a uniquely well balanced aroma and flavor that have earned an unassailable position of excellence. These enticements captivate the preferences of youngsters, who are independent, have a connoisseur´s taste and enjoy a feeling of unlimited freedom. This entry was posted in Liquors on 2013/09/27 by licoresliz.